South Sudan government proposes bill to extend president’s term – Royal Times of Nigeria. South Sudan’s government has proposed a bill to extend President Salva Kiir’s term for three years, undermining peace talks with opposition forces who condemned the move as illegal. Lawmakers told newsmen on Tuesday that the bill seeks to amend the constitution to extend Kiir’s tenure to 2021. Deputy Paul Yoane Bonju said the bill was presented on Monday to parliament and that lawmakers intend to vote it into law this month. The world’s youngest nation, which gained independence from Sudan in 2011, erupted into violence in late 2013 over a political disagreement between Kiir and his former vice president Riek Machar. Tens of thousands of people have been killed since, and more than three million forced to flee their homes. 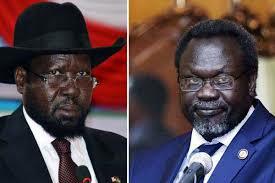 Kiir and Machar met last week and agreed on a new peace deal that included a ceasefire that took effect on Saturday. It was violated on that day when government forces and rebels launched attacks on each other’s positions. On Monday, there was more fighting and at least 18 civilians were killed. On Tuesday, a spokesman for Machar’s rebel group said the government was proposing an “illegal procedure” in attempting to extend Kiir’s term.